Elana Heideman is a dynamic and passionate educator who works creatively and collaboratively to create a stronger voice for future Jewish leadership. An independent lecturer and educational consultant, Elana’s range of activities demonstrate the intensity of her commitment to incorporating understanding of and respect for the history of the Jewish People. Through her involvement with numerous programs, projects and lectures, Elana continually seeks to facilitate dialogue and build bridges between the past, present and future. Her expertise in education in Jewish and Holocaust studies is drawn from 20 years of classroom instruction, curriculum and programming development for both formal and informal settings through her Links in the Chain initiatives. Her work extends to the designing and guiding of experiential education programming for communities and groups, journeys through Eastern Europe and Israel, critical analysis programs centered on the psychology of perpetrators, bystanders and victims in history and society, modern implications of the Holocaust, and workshops on confronting Holocaust denial and modern Antisemitism. Elana has served as a lecturer and consultant for various educational institutions in venues throughout the United States and Israel, including as a expert guide at Yad Vashem National Holocaust Memorial Museum in Jerusalem. Awarded the Herzl Prize in 2005, Elana strives to strengthen future leadership for Israel and the Jewish People. Through The Israel Forever Foundation, she continues to promote a meaningful personal connection to Israel for Jews throughout the world. Elana’s talents as a leader have been evident in her various involvements with community service organizations. She was selected as the Young Leadership Chair of B’nai B’rith International and was honored to serve as a delegate on the World Zionist Council for nearly 10 years. Awarded the Herzl Prize in 2005, Elana remains involved in the Zionist movement through her teaching and volunteer activities. 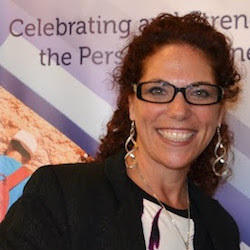 Elana continues to contribute her skills in leadership training programs throughout Israel and the United States. She has educated groups from throughout the world, including Great Britain, South Africa, Australia, South America, India, and Jordan. Elana’s passion for providing leadership and activism for the future is evident through her tireless efforts and innovative initiatives to deepen Holocaust awareness, to expand respect for Israel, and to strengthen Jewish identity around the world. Elana completed her Ph.D. in Holocaust Studies, Phenomenology and Memory under the mentorship of Professor Elie Wiesel in the esteemed University Professors Program at Boston University. Elana made Aliyah in 2005, lives in Nes Harim outside of Jerusalem, and is married to Jano Gleizer with their sons, Eytam David and Noam Tal. To contact Elana directly, click HERE.